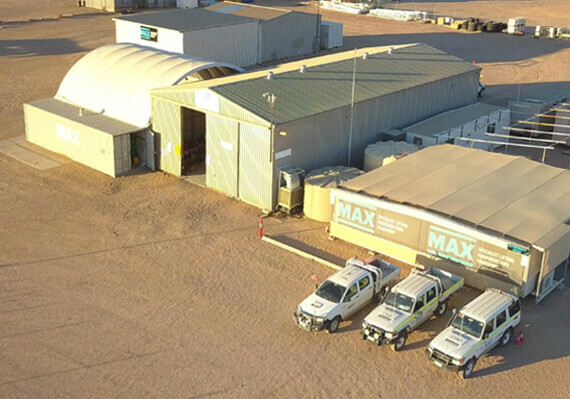 MAX Cranes Moomba depot covers the Cooper and adjacent Eromanga Basins (Cooper Basin) spanning the borders of north-east South Australia and south-west Queensland, this area forms Australia’s largest onshore oil and gas field development, with a permit acreage of 42,000km2. 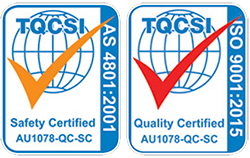 We currently have a skilled crew of 29 people comprising crane operators, riggers, crane technicians and a leadership team capable of site inspections and CAD level lift studies to be produced on site as required. 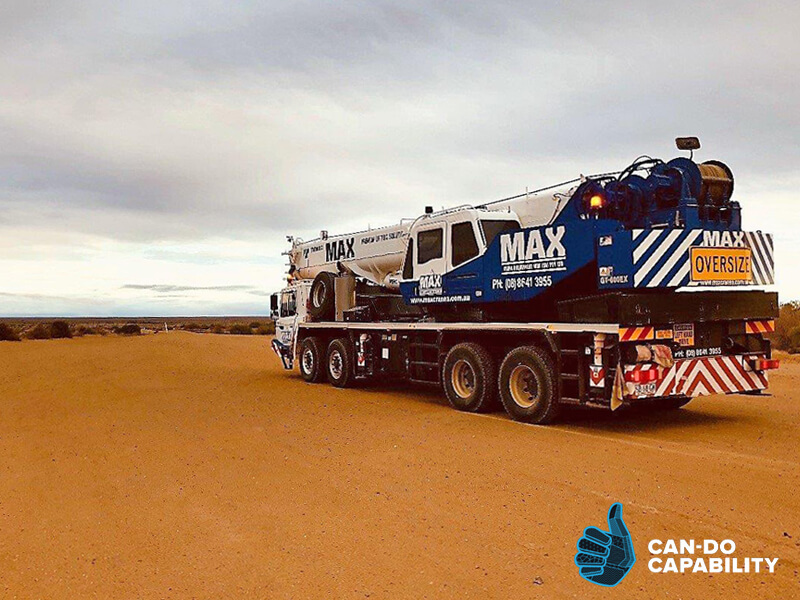 MAX currently runs a fleet of 8 cranes in the Basin, ranging from a 25T Franna through to our 130T All-Terrain Liebherr Crane, we also have access to other cranes in the MAX fleet and regularly bring these to the Basin when required. 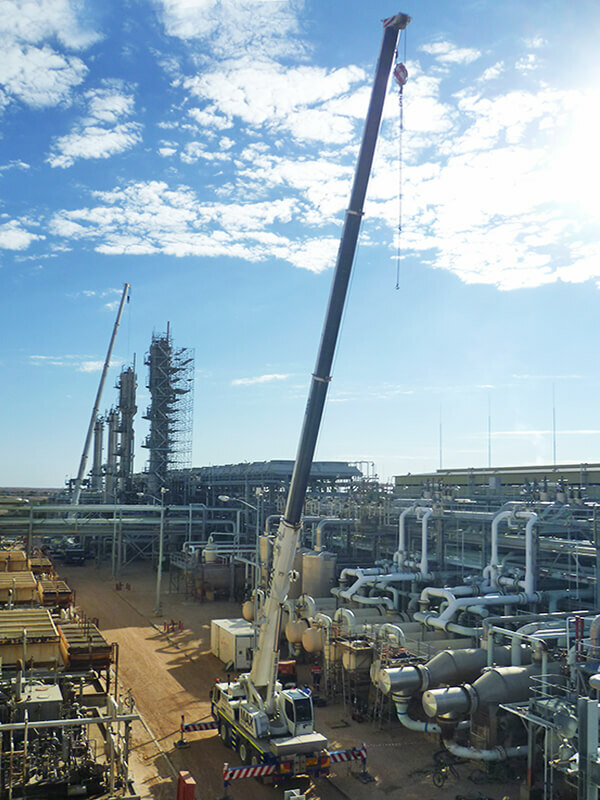 Construction of the gas processing facilities at Moomba began in 1968 and continuous development has occurred since, including construction of an ethane treatment plant in 1995. The Moomba facility accepts production from surrounding oil and gas fields through approximately 5,600km of pipelines and flow lines, via 24 oil and gas satellite facilities, many of which incorporate field boost compression. It also incorporates substantial underground storage for processed sales of gas and ethane. Natural gas liquids are recovered via a refrigeration process in the Moomba plant and sent together with stabilised crude oil and condensate through a 659km pipeline to Port Bonython near Whyalla, South Australia. Sales gas is sent from Moomba to Adelaide via a 790km pipeline and to Sydney via a 1160km pipeline. Ethane is sent to Qenos in Sydney via a dedicated pipeline. The Port Bonython hydrocarbon processing plant opened in 1982, and the liquids pipeline connecting Moomba with the seaboard load-out facility at Stony Point near Whyalla was completed later that year. The first shipment of liquid hydrocarbons left Port Bonython in 1983, while LPG production commenced in 1984 and with it the first export to Japan. The Port Bonython facility accepts liquid hydrocarbons in a mixed stream of products sent from Moomba via a 659km, 355mm diameter pipeline. The processing facility receives a mixture of condensate, crude oil, propane and butane which is processed in distillation towers and molecular sieves to produce various products. These products are stored in large tanks before being shipped to customers. Port Bonython incorporates a 2.4km jetty for the loading of tankers as well as road tanker loading facilities. Approximately 30 ships per year are loaded, with a maximum size tanker of 110,000 tonnes capacity. The majority of LPG produced is exported. 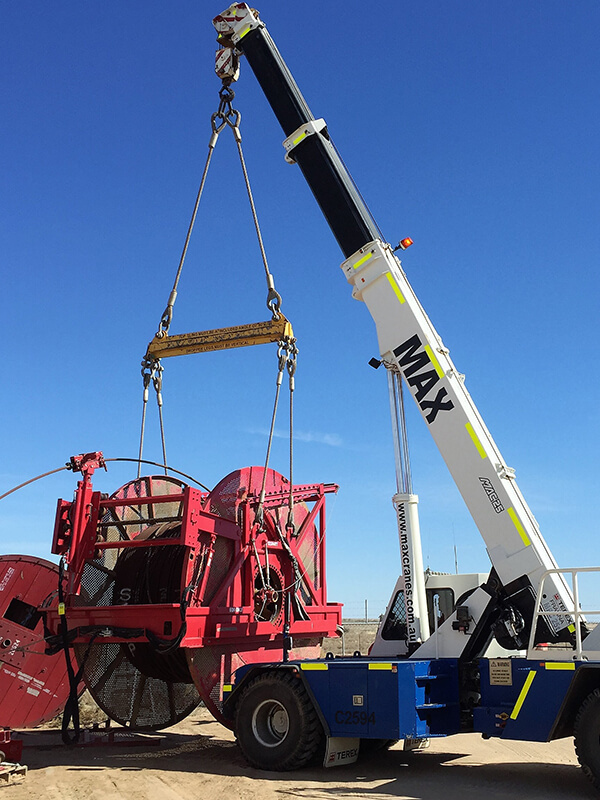 MAX Cranes covers a multitude of crane operations from unloading equipment at the Moomba main stores, installing and maintaining Santos assets – including the Moomba Main Plant. 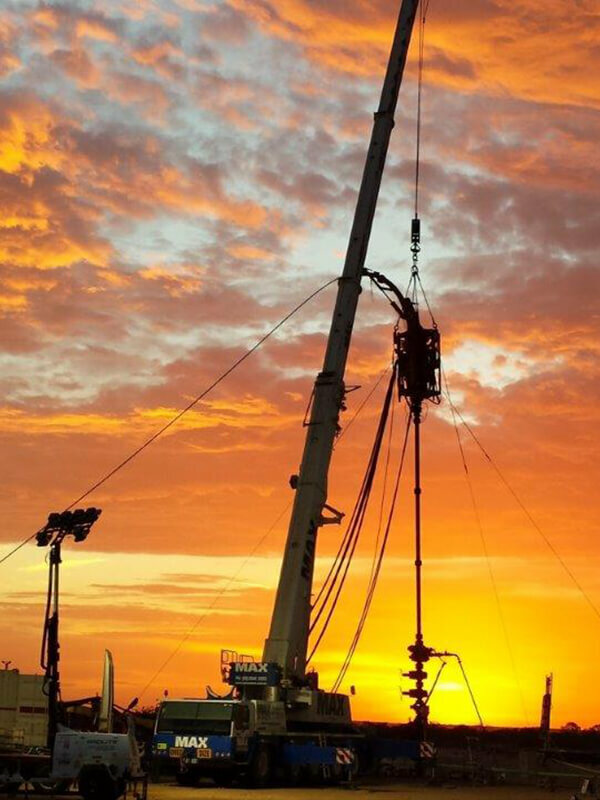 We also assist with oil and gas exploration and their Coil and Fracking operations. We work with Santos and its many departments, plus their 3rd party contractors across the Basin. Additional to Santos, MAX Cranes also assist other oil and gas explorers like Beach Energy, Senex and Strike Energy (including their 3rd party contractors) with any crane, access equipment or logistical help they might require.